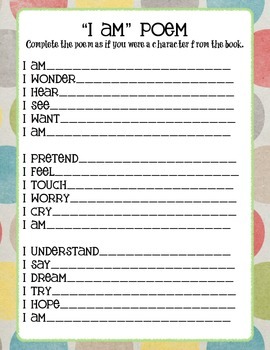 This is a PDF worksheet for a general book study "I Am Poem". Students write a fun poem as if they were a character from the book your class is studying. This is a wonderful activity to activate students' creative natures. You could assign it to any age group and to all types of learners. Could be used as review or assessment.